Radiate radical confidence and sophistication with the John Varvatos Collection® Essex Lace Boot. Lace-up front tie closure connected through reinforced eyelets. Pull-tab at the back of the ankle. Rubber lug outsole with square heel. 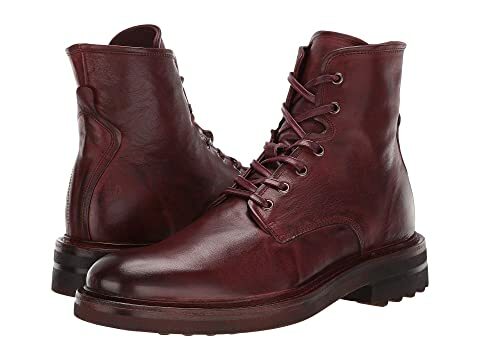 We can't currently find any similar items for the Essex Lace Boot by John Varvatos Collection. Sorry!